Calejo, Ryan. Charlie Hernandez and the League of Shadows. Aladdin, 2018. Charlie loves studying the mythology of his Latin American culture. He knows all the stories about all the different monsters and gods from all the countries in Central and South America. 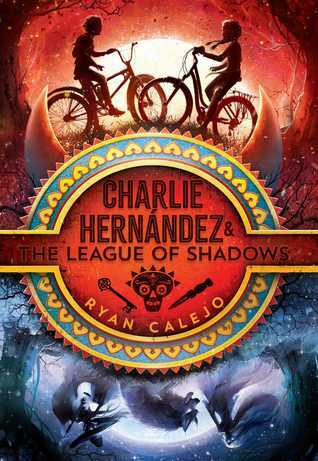 But when Charlie is teleported into the very mythological world he loves so much, he will have to keep his wits about him in order to save his family and the rest of the world. This book is a perfect read-alike for the many Rick Riordan mythology stories, and as there are still scores of fans of these books, this will be an easy book to recommend. There is plenty of adventure and fantastical stories in this book, and the compelling, action-filled story will keep readers turning pages to find out what happens next. Recommended.